This serum is scientifically proven to lighten dark spots in just 4 weeks. The secret ingredient is Caudalie's patented Viniferine. Extracted from vine stalks, Viniferine is reportedly 62 times more effective than Vitamin C for free radical protection. It also helps to clear the complexion and reduce pigmentation, correcting existing dark spots and prevent the appearance of new ones. 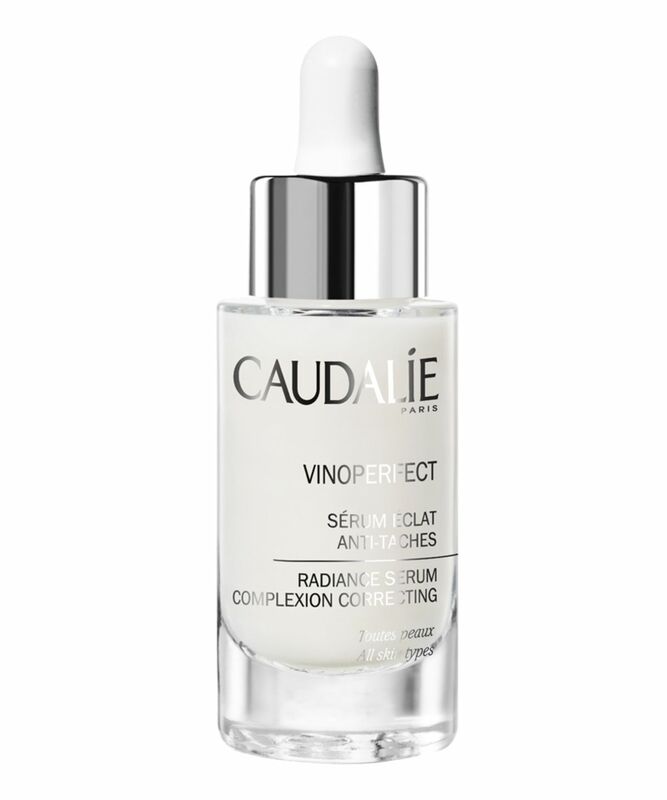 Vinoperfect provides antioxidant and anti-ageing action by stimulating elastin and collagen production. Apply morning and evening to cleansed skin, before your moisturiser. I am usually someone who looks into each and every ingredient. This was an impulse buy at Sephora as it came with the essence and overnight cream. I PUT ALL MY OTHER PRODUCTS ASIDE and I only use this. I went back to my other creams to see if my skin was happy or if it was the Caudalie... It was definitely Caudalie! It makes me radiant and confident enough to leave home with nothing but SPF on. Highly recommended! After first use only have noticed major changes to my skin. It makes my skin so soft glowing and I had acne prone skin all gone in two months only. Love the whole range of Caudalie products, never been disappointed. It’s amazing! This is my second time purchasing this serum, what I love about it is that you can see instant results from the first use. Once you apply it it gives you a nice hydration and glow and for the long term, it really does what it says but it may not be super effective for the stubborn hyperpigmentation. If you have light discoloration, pregnancy mask or uneven tone issues think about this product. I find it even work to reduce my breakouts. After first uses it gave like a hot flush to my skin, but later I didn’t notice any problems or allergic reactions. I think it actually helps my skin to heal and skin quality seems improved - smoother, less irritated. I bought this product because I need a light serum. I am in my mid-twenties and have red and fairly deep acne scarring left over from taking a medication. This serum is amazing! Just a month of using it and it has faded my lighter marks and under my makeup, it gives me a nice radiant glow. I love how light it is and I love how plump my skin feels after using it. The only reason I have given it 4/5 is that when it is mixed with too many other products ( oil based mostly) it had given me some red blotching on my skin. However, that could just be MY skins reaction and shouldn’t convince you to not buy a product. It is amazing. I've been using it religiously for 2 weeks and I can already appreciate its effects. My post-acne marks are starting to fade away and my complexion is glowier than it has ever been. Using it in combo with the Brightening Essence from the same line guarantees results in no time. After using the entire bottle there was no improvement in hyperpigmentation or brightening. Looking into the ingredients list more closely it doesn't have any highly regarded active ingredients. It feels quite nice on my skin but is too expensive to be this ineffective. I am 31 years old with normal skin/oily t-zone, I have tried many different serums throughout the years and this is the first one that I find is worth my money. Leaving my skin soft and radiant without causing breakouts. I use this in the evening and my vitamin C serum (the ordinary) for daytime and my skin has never looked better! I wanted to love this product but it does not help to lighten my acne scarring any faster than the vitamin c serum. I love, love, love this serum. I finished like 10 bottles of this already. It's moisturising, brightening and feel good for the skin. It helps with my acne scaring too, not overnight but it helps them to fade away quicker. Love it. A nice product that left my skin feeling lovely but unfortunately it did nothing for my pigmentation problems. I used the product as advised and completed the whole bottle but could identify very little change in my dark pigmentation patches, this was despite using it in conjunction with a high factor face sun cream. Bought this after hearing so much about it! Definitely not disappointed!! Smells gorgeous, slides on easily and even though the serum is a bit sticky it doesn’t leave a sticky residue. My face looks more plumped and my fine lines are reduced. Pigmentation hasn’t gone away but I am happy overall. Haven't noticed any major changes to my skin over the past month. Feels nice on the skin but that's about it. Wouldn't repurchase. I love this serum - the formula is lush and really does make a difference to the texture of my skin! Only gripes are the pipette is not very good and hasn’t been in the last few bottles, also it seems to go very quickly- but that might me because I love it so much. One of the best serums I tried so far. It hydrates and brightens my skin without causing breakouts. Value for money another plus. I really like this serum because its help me to lighten my dark spots and scar with very faster. Will repeat again. I'm a little addicted to this serum and have just bought my third bottle! It has a nice brightening effect on my skin and leaves me feeling hydrated. Love it! Beautiful. I use it in the evening and it works by the time you wake up. This product is just amazing! I use it morning and evening underneath my moisturiser and it makes a big difference on my scars and sun spots! I finally have an even and radiant skin, so thank you Caudalie!! 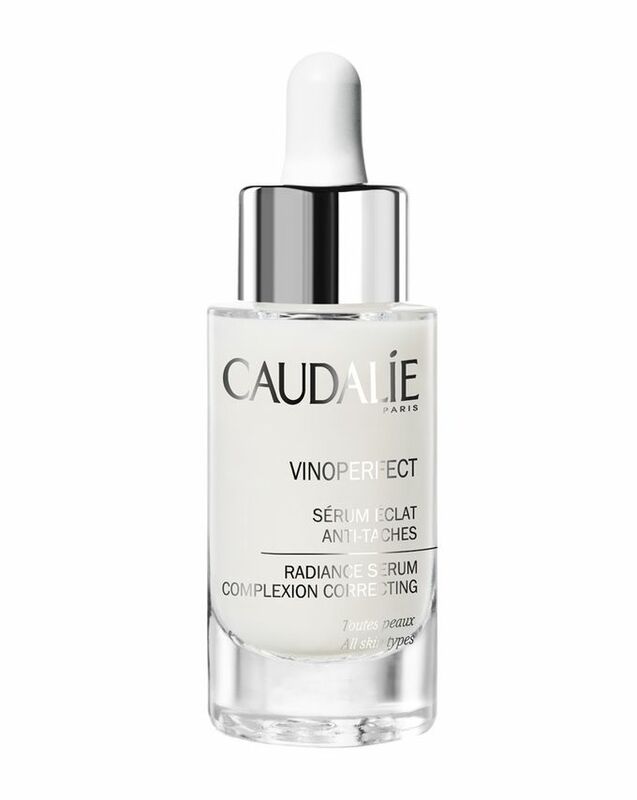 I have been using Caudalie's Vinoperfect Radiance Serum for about a month now, on a recommendation from a salesperson. I bought it to try to get rid of some acne scars I've had for about 10 years -- so I wasn't too hopeful that anything would work. THIS STUFF IS AMAZING. You will not see results right away, but over time, scars will fade significantly. I still cannot believe that it is working on scars that I have had for so long. On top of the visible effects, my skin feels completely incredible. It is so soft and healthy, it has never felt better. My only regret is that I didn't find this product sooner. Yes, it is a bit on the pricey side, but for as well as it works, it's worth every penny. Plus, a little bit goes a long way (I just use 4 drops on my whole face), so the bottle will last quite a while. I can't say anything about how it works on age spots or other marks, but it is a miracle on scars. Try it! !